What can you expect from Choice Cabinet? First, our cabinets use the finest materials. You will not find staples or glue in our assembly process. We use pocket-screw joinery and solid wood corner braces for sturdy construction. Also, we build our cabinets from furniture-grade plywood, not particleboard. As a result, our cabinets make for the perfect investment in your new home because they last longer. Second, we offer a range of traditional, transitional, and contemporary styles. You will be able to find the right style to fit your kitchen, bathroom, basement, or garage. With more than 150 assorted sizes and over 50,000 items on hand in our warehouse, our turn-around time is prompt. Say goodbye to waiting months and hello to your new cabinets. Third, feel confident in your decision with our outstanding customer service. Our Concierge Design Service walks you through the process of designing your space. Most of all, our goal is to make you feel comfortable with your dream space. We’ll design a space that not only looks great, but is functional for your everyday life. Finally, our prices cannot be beat. 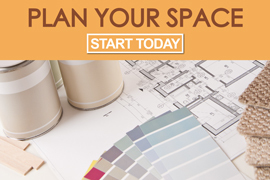 Save your hard-earned money while renovating and creating a unique space all your own. Ready to dive in? Browse through our selection online, locate a dealer, or give us a call at 855-378-2828. You can rest easy when you choose Choice Cabinet. We know that our cabinets will be able to handle all life’s mishaps. Our cabinets are KCMA Certified. A KCMA Certified cabinet means that it passed a rigorous 15-step testing process. The tests check the structural strength of the cabinet boxes, drawers, and doors. The quality of the finish is also tested. That test uses a variety of staining elements to see how the finished holds up against them. For more on the KCMA Certification, check out our KCMA page! Start your renovation off on the right foot by using some of our tools available. Our “Plan Your Kitchen” eBook walks you through measuring your kitchen. It also covers understanding the “Work Triangle”. We also include a section of layouts to help you pick your perfect kitchen layout. Our Learning Center and Choice Library are full of information. Find our “Renovation Budget Workbook” and “Cabinet Care 101” eBooks there. While the Learning Center is a useful tool, sometimes you need to talk to another person. 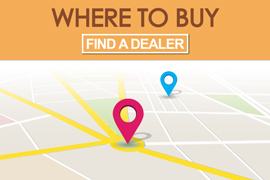 Find a dealer near you with the “Where to Buy” button. 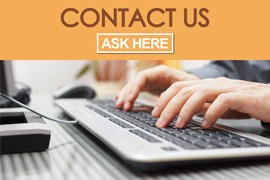 Click on our “Contact Choice” for a Choice Cabinet customer care representative. Use our step-by-step planning tool to bring your ideas to life. Just getting started? Check out our helpful Learning Center. We'll help find an Authorized Choice Cabinet Dealer near you. Short on time? One of our team members will contact you! Check out some of our work on Lifetime’s Designing Spaces! We were looking for affordable options yet with good quality and when we saw the cabinets from Choice, along with the quick availability and great price, we were sold! We recently remodeled our kitchen. After looking at several cabinet makers in the area, we settled on Choice Cabinet and am I glad we did! The drawers have a soft close glide, are dovetailed, and every hinge is adjustable. The boxes are thick and very sturdy. We LOVE our cabinets! They were a much better value than another brand we looked at. 5 stars isn't enough to express how satisfied I was with the process, the people, their creativity and the quality of the cabinets. I would recommend these cabinets to anyone - the price can't be beat. Thank you for the easy and smooth transaction. We spent months researching cabinetry and chose Choice Cabinets. I found it to be an excellent product. The time taken by their design personnel was tremendous and very accurate. The cabinets are beautiful and sturdy. The cabinets are solid wood...everyone that comes to our house comments on how beautiful they are. We have recommended Choice Cabinets to our friends who have also had great experiences and would recommend them to others without hesitation. The quality of the solid maple construction and the soft close drawers were a pleasant surprise. Soft close doors, trash bins, and the moldings that we could do were also a plus. I have Choice Cabinets in our laundry room and have had nothing but a positive experience with the product and the company. Love my new cabinet!! !...I received my cabinet very quickly with great customer service. The cabinet is very well made and the finish is beautiful. I would definitely recommend buying from this family run business. Nice cabinets readily available along with trim pieces necessary for a complete job. Showroom is organized and updated regularly. I’ve had awesome customer service and I even went as far as driving to Cleveland to meet the owners. It was great, they gave me and my friends a tour of the place. This is one of the best built cabinets I’ve ever worked with. Best cabinets at best price points! Well constructed and great customer service. They are so good I would work for this company. 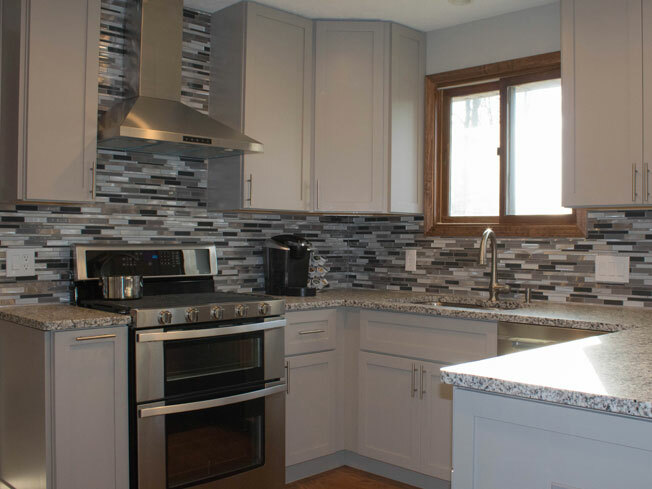 We purchased Choice cabinets for our kitchen and laundry room and have had nothing but a positive experience with the product and the company. Great cabinets at a great price! Strongly recommend and will be excited to show off my new kitchen to the family!